we are used to fir and pine needles coming down from the trees….. Here, in Palm Desert, the name says it all, palm trees, there are 2600 species of palm trees, most well known ones are the coconut palm and the date palm. 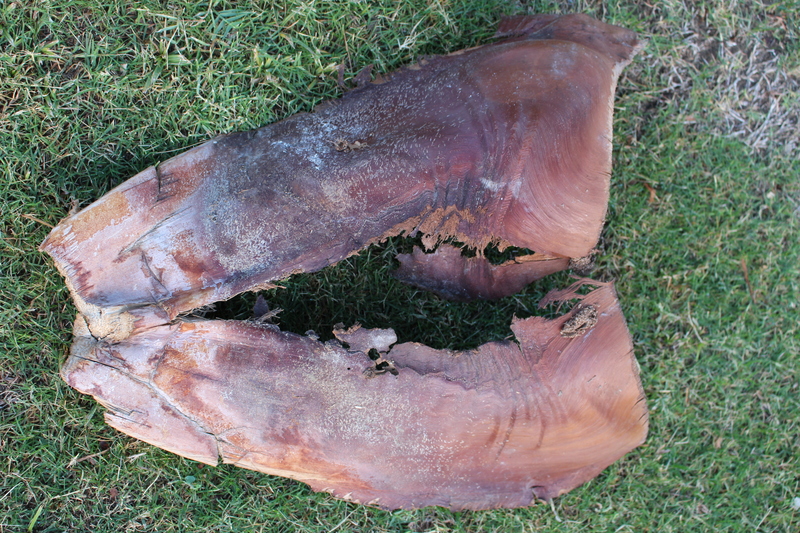 Some palm trees are in danger of dying out, one of them being the rattan palm, being used for making furniture, they are still harvested in the wild, instead of farmed, the trouble too is that the seeds of palm trees will die when cooled, so that makes it impossible to keep those seeds for the future. The wild seeds are being sold to collectors and growers, also a threat for the palm tree. 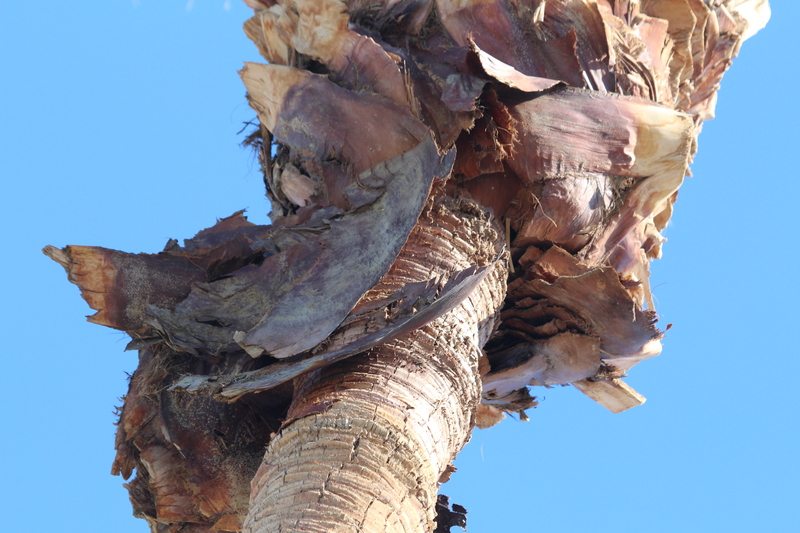 palm trees have either fan-leaves or feather-leaves, the leaves have a tubular sheath at the base that splits open. The California fan palm is the only palm tree native to western North America. They are a messy tree, usually the old leaves cover the trunk, all the way up to the top, they are a great nesting place for all kinds of species of birds. While we were at our RV spot in Shadow hills Resort , surrounded by some palm trees, a large,strange looking object came thundering down, to me it looked like something from the Viking times, but when i picked it up, it had virtually no weight at all. So much for the thundering down bit, but heh, still dont want to be hit by one!! !